Welcome to the former home of MoenComm, which from 2011 until the end of 2016 sold the Star*DV AMBE 3000 device as well as the Star*Board GMSK modem. The website has been merged into my personal website, k6jm.com, but the contents will remain on the web as a resource for those who purchased these products. ThumbDV(tm) from Northwest Digital - This is a good product and I have used it. It comes in a very convenient USB stick form-factor. 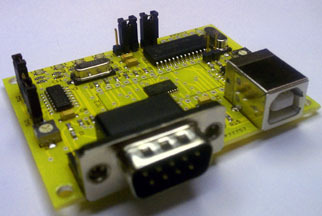 DVMEGA AMBE3000 - This board contains a codec for a speaker/mike or headset. It is a shield that fits on an Arduino MEGA that connects via USB to a Pi or PC. DVMEGA GMSK Modem - http://www.dvmega.auria.nl/GMSK_shield.html - This board fits on an Arduino Uno or Mega, forming a compact unit that plugs into your PC or Pi. The Arduino is loaded with DVMEGA's excellent firmware - https://www.amazon.com/Arduino-cc-Arduino-UNO-Rev3/dp/B01LZSK32W. DVMEGA also offers a radio board to create a small low-powered access point and supports several DV modes. 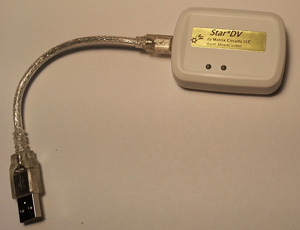 MMDVM multi-mode DV modem - http://mmdvm.blogspot.ca/ - Works great for D-Star only, but also supports other major DV modes, including DMR, C4FM/Fusion, and P25. Perfect for people who like Do It Yourself projects. MMDVM also makes the ZUMspot, a low-powered radio board. Plugged into a Pi or PiZeroW, this is a powerful multi-mode access point. NW Digital Radio's UDRC-II - https://nw-digital-radio.groups.io/g/udrc/wiki/UDRC%E2%84%A2-For-Simplex-Hotspots-and-Converted-Analog-Repeaters - this is not a modem, but functions like a sound card in conjunction with software like G4KLX's DStarRepeater. Extend the D-Star network to your neighborhood! Start with a D-Star radio, then using this board with an analog radio and a PC with internet, you can connect to repeaters and reflectors around the world. Learn more and see a diagram here. If you have any questions, we'll work with you to be sure you'll be successful in setting up your Hotspot. Note: the analog transceiver in a Hotspot ideally will support 9600 baud packet data. Often Hams have a spare analog radio available, or they pick one up at a hamfest or club auction. Again, if you have any questions, email them to the address below. We also encourage you to join gmsk_dv_node on Yahoo Groups -- the most popular email list about GMSK node adapters. * D-Star® is a registered trademark used for communication equipment (repeaters and transceivers) for amateur radio communications, and owned by Icom Incorporated. Copyright © 2011-2018 James M. Moen. All rights reserved.